Sometimes, having and not having a vision for an idea, project or, in this case, a part of the universe, leads to the same result. 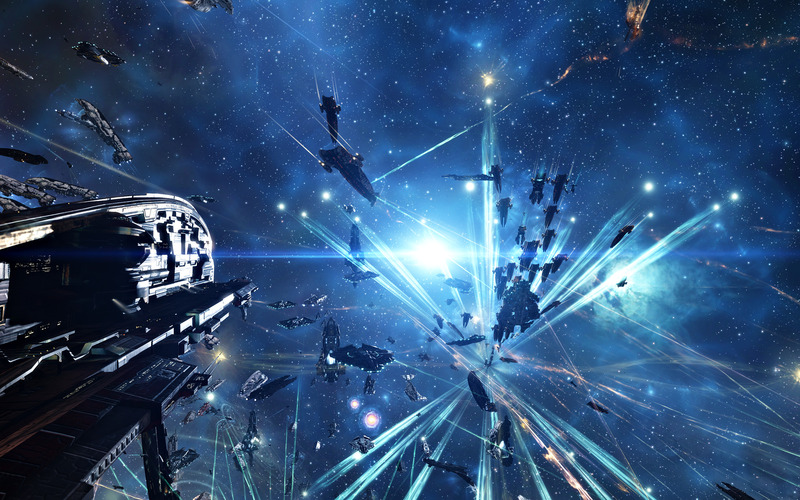 CCP doesn’t know what to do with lowsec … or they know exactly what to do: kill it. In the past few years, EVE has seen some fairly significant changes in the direction that CCP has decided to steer the future the game. This “vision” for the future of EVE Online was laid out in the 2013 Fanfest Keynote Address by the then Senior Producer of EVE Online, Andie Nordgren (CCP Seagull). The video below features the portion of the Address where CCP Seagull speaks on the future of EVE Online following the Odyssey release (at the 01:17:00 mark). For those who don’t have the 20 minutes to watch the video or have forgotten the specifics, let me share with you the key points that led us to where we are today. CCP has had a clear vision about highsec for years, probably since the beginning. After the 2013 Fanfest Keynote and the Citadel expansion the vision for the future of nullsec became even more clear: empire building and colonization. In the last couple of months more and more focus has been given to nullsec gameplay. The Rorqual changes together with engineering complexes provided huge boosts to sovereignty holding alliances and their future growth. With highsec being a safe heaven and nullsec being the empire building colonization space, what purpose does lowsec serve? Lowsec appears to have just been a side project and thus has suffered from a lack of attention. Last time CCP seriously worked on lowsec was in In 2008 when Factional Warfare was introduced as part of the Empyrean Age expansion. The addition of the Factional Warfare system offered a new game experience where you could sign up to fight for one of the four empire factions, in order to help gain control over certain areas of lowsec space. At the outset of the Empyrean Age expansion, CCP wanted to introduce Factional Warfare as the entrance to more complex PVP gameplay. 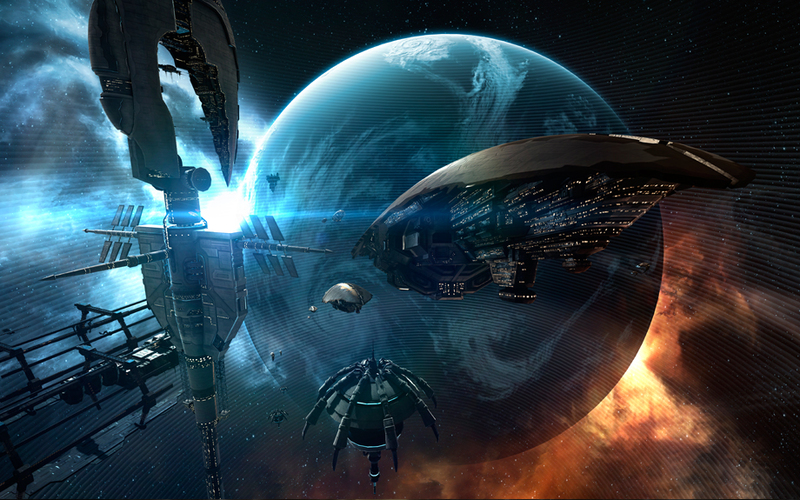 The expansion also saw the addition of a brand new lowsec region in New Eden: Black Rise. This region would connect Caldari and Gallente space and following its release, would become one of the most active PVP regions in New Eden. An era that almost ten years later, is about to come to an end. The introduction of Factional Warfare added a lot of fresh air to the lowsec experience. Lowsec had previously been populated by smaller groups of pirates and loners who, possibly as a result of too many hard nights and one too many poor life choices, may have accidently left safety of highsec and jumped into a spooky system below the magical safety-net of 0.5 Security space. With the introduction of Factional Warfare, lowsec system populations went up, with PVE and PVP activity increasing as well. New corporations and alliances were formed, some old school alliances joined militias, factions began to fight over systems, loyalty points were gained as reward, and most importantly, fun was had. It was a beginning of a new era. An era that almost ten years later, is about to come to an end. Little to no attention has been paid to lowsec since 2008. Lowsec space has been the unintended beneficiary or victim (depending on your point of view) of the balance passes on the very limited aspects of the game that it shares with nullsec, in addition to the evolving meta that the rest of the game benefits from. In order to understand why some of the planned changes to the core mechanics of player structures will ultimately kill lowsec as a whole we must first take a look at the driving forces behind player conflicts within this region of New Eden. It should come as no surprise to anyone who has taken part in medium to large-scale PVP in lowsec over the last few years that POS’s and POCO’s are the primary source of content creation within lowsec. These structures are always vulnerable, can be attacked by any group at any time, and are the primary source of income for lowsec dwelling corporations and alliances. Prior to the release of citadels, these two types of structures were the only way to provoke fights and encourage conflicts (outside of FW). Add in the Thukker Array which for years made lowsec the cheapest place to build capital components with its flat 15% material reduction cost and you had at least a variety of ways for groups to not only create conflict, but to fund themselves. Lowsec is certainly not devoid of income opportunities, and it does provide individual players with the ability to acquire wealth, albeit largely in form of LP from Factional Warfare and Level 5 Missions. However, neither of these activities provide any form of income for corporations and alliances. This means that outside of a small number of R64 and R32 moons and the occasional POCO tax, lowsec entities have no real way to passively fund themselves like nullsec entities do, namely through ratting taxes. The “leaked” changes from last week threaten to devastate lowsec in way that many in nullsec groups simply will be unable to relate to. While the mechanics for the new mining platforms have not been revealed yet, aside from having to physically mine the ore that gets shot out of the structure, removing one of two passive ISK generation mechanisms will result in a significant reduction in the capability for lowsec entities to fund themselves. This isn’t to suggest that I am against “active” ISK making, only that lowsec will be left with only POCO’s tax while nullsec continues to reign supreme. If these mining platforms use similar mechanics to citadels such as their vulnerability windows, this will only further enable bigger groups who wish to “timezone tank” their structures, preventing any meaningful content from being created outside of people who currently reside in Australia. Mining platforms and active moon goo mining will remove the only real passive income all lowsec corporations and alliances had. And this is when lowsec dies. Let me explain you why. Everyone liked the T1 cruiser brawls years ago when that was the meta in Factional Warfare fights. With the game progressing, the meta went to battlecruiser hulls, heavy assault ships and later on to strategic cruisers, finally culminating with the “endgame” of faction battleships with capital and supercapital support. This is the progression that the rest of New Eden went through. This is the evolving meta that everyone was a part of and from which groups who were ahead of the pack benefited from the most. But with the new mining platforms and citadel changes this meta progression – at least in lowsec as we know it – will end. After World War Bee an arms race started. All bigger alliances and coalitions started building carrier and dread caches. Production of supercarriers and titans is a strategic priority for all the larger entities in New Eden who are getting ready for the next North vs South conflict. Rorqual changes and engineering complexes were the nail in the coffin for lowsec industrial production, with the introduction of the scaling bonuses that come with the EC’s and their production Rigs, nullsec now reigns supreme for any budding industrialist. Once Thukker Arrays are removed lowsec will lose the only industrial advantage over nullsec that it had. But how does all this affect the PVP aspect of lowsec? In order to support capital and supercapital warfare, corporations and alliances need steady income and funding. Nullsec is lightyears ahead of lowsec in this regard. Eternal Recurrence is a concept suggesting that the Universe and all existence and energy has been recurring, and will continue to recur, in a self-similar form an infinite number of times across infinite time and space. 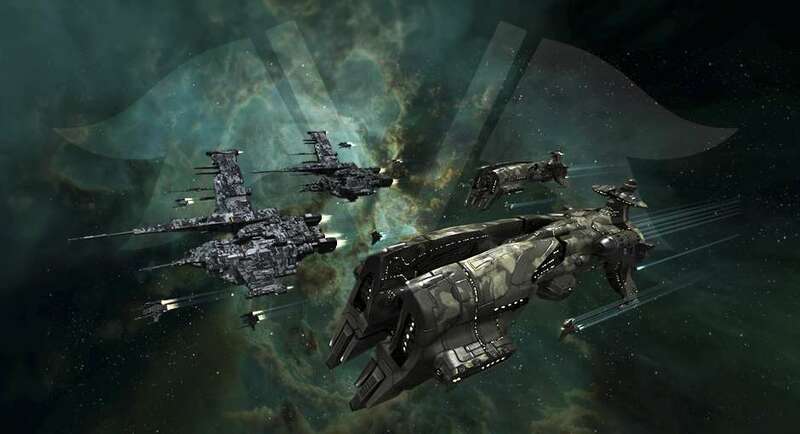 If CCP goes through with all these proposed/”leaked” changes, what is left of the bigger lowsec entities (F for EE and a likely F for SC too) will be forced to move to nullsec in order to leverage corporation taxes and their own renting empires in order to provide enough passive income to support their growth and gameplay. Activity in lowsec will go down together with its population and thus leave this area of New Eden for smaller pirate groups, stabbed frigates who farm faction LP, and loners who make questionable life choices and jump into 0.4 and below security status systems. If CCP is doing this with a vision or without, planned or not, the result is the same. 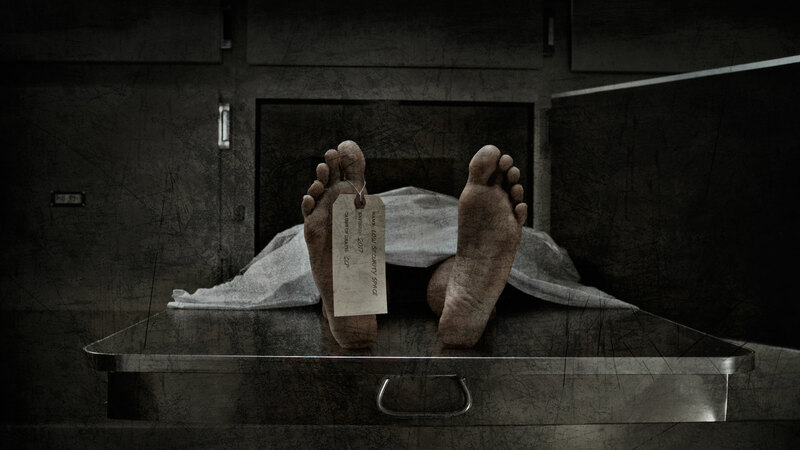 Lowsec – as we know it – is dead. Reza is the leader of SniggWaffe / WAFFLES and a head FC with a prominent history in lowsec warfare.